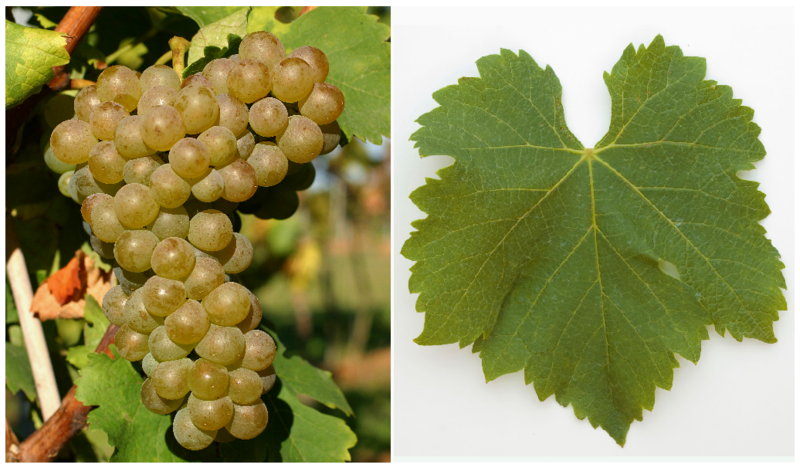 The white grape comes from France, Synonyms include Galopine, Petit Viognier, Viogné, Viogner, Viognier Bijeli, Viognier Blanc, Viognier Jaune, Viognier Vert, Vionjer and Vionnier. Despite seemingly indicative synonyms or morphological She may not share similarities with the varieties Altesse. Chouchillon (Faux Viognier) or Vugava be confused. According to done in 2008 DNA analysis exist one Parent-offspring relationship with the variety Mondeuse Blanche, as well as a close relationship with Freisa, The medium-maturing, not very productive vine is relatively resistant to Botrytis, but prone to real mildew, It produces deep yellow, high-alcohol, extra-rich white wines with a variety of aromas of apricots, peaches, lemons and flowers (lilies of the valley, violets) as well as appropriate aging and aging potential. In Europe in 2010 there were mostly smaller cultivated areas in Germany (Pfalz), Greece. Italy. Malta. Austria. Portugal (82 ha), Spain. Turkey (16 ha), Switzerland (31 ha) and Hungary, Other non-European countries with arable land in 2010 are Argentina (816 ha), Australia (1,402 ha), Chile (753 ha), Israel (50 ha), Canada (83 ha), New Zealand (163 ha), South Africa (892 ha), Thailand (1 ha), Uruguay (45 ha) and the United States with some states (total 1,374 ha). In California, there is even a vintners' association called "The Viognier Guild". The variety took in 2010 a total of 11,400 hectares of vineyards. Compared to 1990 with then 3.160 hectares, this means three times the amount. It occupies the worldwide varieties ranking the rank 62. This page was last modified at 13 January 2019 at 14:21.